A recent report from the Center for Housing Policy uncovered the fact that the number of renters paying 50% or more of their income for rent has increased to one in four. According to the study, median housing costs of working renters rose nearly six percent between 2008 and 2011, while their median incomes fell more than three percent. 1. High Turnover: If monthly rent continues to consume higher percentages of their income, tenants will be left with no alternative than to seek cheaper apartments that may be less desirable for them. They may move to smaller or less geographically desirable apartments, just to keep their head above water. 2. 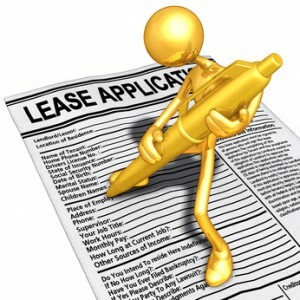 Rent Concessions: Landlords may see an increase in requests for rent reductions, as tenants struggle to make ends meet. This may happen upon renewal, or before new tenants move in. 3. Late Pays and Defaults: The worst case scenario will be a steady increase in late rent payments, with some tenants defaulting on their leases as they get further and further behind. 4. Renters Turned Home Owners: With mortgage rates hovering around historical lows, and demand driving up rents, more qualified renters are finding it is more affordable to own than it is to rent. The Center for Housing Policy report also states that median incomes appear to have improved slightly over the most recent year, yet still have not fully rebounded to 2008 levels. If the downward trend has leveled off and is starting to slowly turn around, there may be a light at the end of the tunnel for tenants, as their discretionary income begins to show positive growth. On-site fitness facilities that make it easier for tenants to exercise at home, rather than spending extra money for a gym membership. Landlords who are sensitive to the financial plight of their tenants are more likely to weather the storm alongside them, resulting in happier tenants, lower turnover costs, and more profitable rentals.